Currently, if a company is not awarded a state agency contract for services, the company can protest the decision with the state Department of Administrative Services. That agency reviews the protest and makes a final determination regarding its validity. 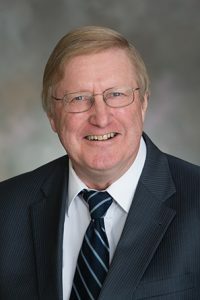 Under LB814, introduced by Columbus Sen. Paul Schumacher, a protest of a contract awarded in certain cases would be considered a contested case under the Administrative Procedure Act and could be subject to judicial review. Schumacher brought an amendment to the hearing that would specify that only contracts of $1 million or greater would be subject to the bill’s provisions. Schumacher said the process currently in place is inherently unfair because DAS is the same agency that awards contracts and reviews protests of those awards. Assembling a sophisticated bid is time consuming and expensive, he said, meaning large companies may not offer bids if they feel the process is unfair. David Karnes supported the measure on behalf of IT Alliance for Public Sector, saying the bill would assure all vendors that the procurement process is open, transparent, fair and competitive. Doug Wilken, assistant general counsel to DAS, opposed the bill. He said a protracted appeal process could delay the execution of important contracts by at least 60 days. Additionally, Wilken said, appeals decisions by different judges could create confusion for state agencies. “This could lead to conflicting rulings and perhaps bad legal precedent if the agencies do not have experience responding to bid protests,” he said.